Additional backup from Deputy Wallace. 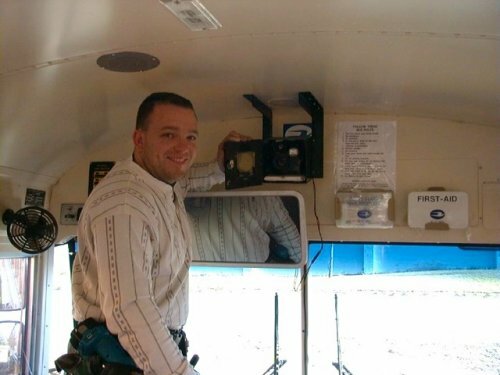 The Jack-in-the-box camcorder system he is replacing became a problem when a child's head impacted it and the district opted for a more professional and much safer school bus video or vehicle camera system we were offering with small remote cameras with rounded edges. Most of the installers we contract for field service are law enforcement as they are professional hard working and take pride in their work.